September 4, 2018 marks a big day for the PVMA family. The day our third school opens it’s doors to the newest members of the PVMA family in Bloomington! What started as a dream in a small, one classroom storefront in Golden Valley nine years ago has become more then we could have ever even imagined. And it is all because of the parents and children we consider our extended family, our PVMA community. 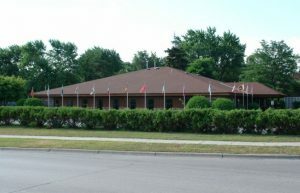 Located off Old Shakopee Rd. 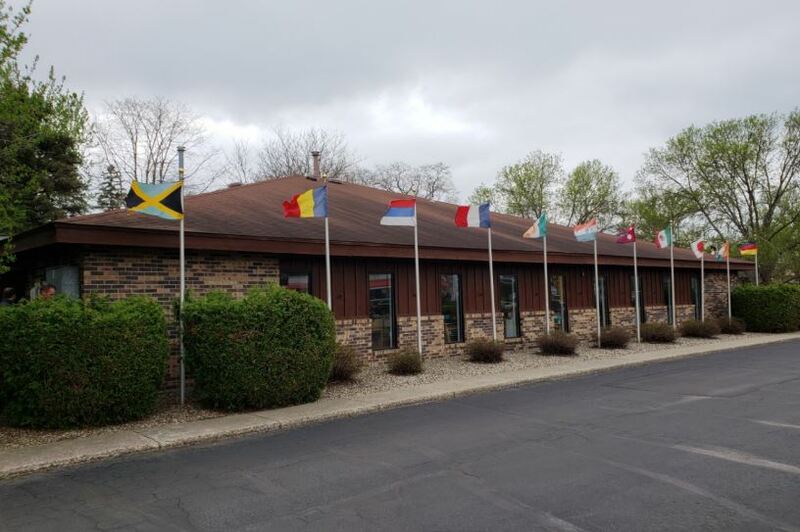 and Normandale Blvd., our Bloomington location is perfectly located for convenience yet simultaneously provides a beautiful space to enjoy nature and privacy. Our Bloomington location serves families from the south metro area including Savage, Burnsville, Bloomington, Eden Prairie, Shakopee, Edina, Richfield and Hopkins. Newly remodeled over the summer of 2018, the indoor environment at Bloomington consists of two Children’s Houses which serve ages 3-6, two Toddler Rooms which serve ages 16 months-36 months and one infant room that serves ages 6 weeks- 16 months. All of the purposefully prepared environments are physically and psychologically designed for the children to move freely, choosing work that interests them and meets their developmental needs. In addition to our carefully prepared classroom environments, our Bloomington location offers opportunities for the children to exercise their gross motor skills, participating in activities such as soccer, yoga, dance art and large motor movements, when outdoor play is not an option. Our Bloomington location has separate outdoor play areas for Children’s House and for Toddlers, complete with age appropriate outdoor activities, nature based toys, sandboxes and playgrounds. 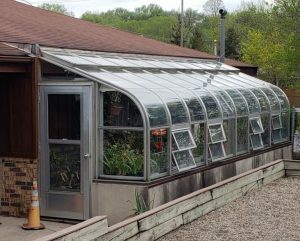 In addition to these peaceful outdoor areas, Bloomington is our only location to have a large greenhouse for exploring lifecycles and nature year round, a true treat in a state that experiences such a long winter! This allows our children to plant, care for and harvest vegetables throughout the entire year, an activity that provides each child and opportunity to further understand the beauty of nature during their formative years at Peaceful Valley Montessori Academy. From time to time, Peaceful Valley Montessori Academy (“Sponsor”) may offer certain prizes through an online sweepstakes to winners selected through random drawing. THERE IS NO PURCHASE NECESSARY TO ENTER OR WIN. Purchase or payment of any kind does not increase chances of winning. Odds of winning are dependent on the number of entries received. ONLINE SWEEPSTAKES ARE VOID WHERE PROHIBITED. HOW TO ENTER: The sweepstake begins from the moment the post is shared on the site, through the end of the contest date listed on the post. Any entries received after the contest has closed will not be included. The full contest schedule is listed below. Comment on our Facebook sweepstakes post with the correct answer. Your contact information will never be shared with a third party. You may enter an unlimited amount of answers provided all are in separate comments. Identical correct comments made by the same participant will only be entered into the final drawing once. Correct entries are limited to up to (1) entry per person. Winners will be notified via Facebook message at Sponsor’s discretion. Prize value is listed on each individual sweepstake. Odds of winning a prize are dependent upon the total number of eligible entries received. Prizes are limited to one (1) per household. ELIGIBILITY:Open to legal residents of Minnesota, who are 18 years of age or older at time of entry. Employees of Peaceful Valley Montessori Academy or Sponsor, their affiliates, subsidiaries, and their immediate family members and/or those living in the same household of each are not eligible to participate. WINNERS SELECTION: Winners will be selected within 72 hours after the close of the event from among all eligible entries received during the sweepstake. Winners will be determined at random by Peaceful Valley Montessori Academy using a 3rdparty plugin or application. Winners will be announced publicly on the site and contacted by Peaceful Valley Montessori Academy via email or Facebook message. Winners will have 48 hours to claim their prize or a new winner will be selected. A list of winners can be requested at any time by contacting admin@peacefulvalleymontessori.org. Neither Peaceful Valley Montessori Academy nor Sponsor is responsible for electronic transmission errors resulting in omission, interruption, deletion, defect, delay in operations nor transmission nor alterations of entry materials, nor for technical, network, telephone equipment, electronic, computer, hardware nor software malfunctions nor limitations of any kind, nor inaccurate transmissions of nor failure to receive winner’s emailed information on account of technical problems nor traffic congestion on the Internet, email being inadvertently flagged as junk or other email form, nor at any website nor any combination thereof. Every reasonable attempt will be exhausted prior to prize forfeiture and a new winner being selected, including, but not limited to review of all sub-folders and accounts where emails can inadvertently be directed. PRIZES/APPROXIMATE RETAIL VALUE: Prize value is listed on each individual sweepstake. Odds of winning a prize are dependent upon the total number of eligible entries received. Prizes are limited to one (1) per household. GENERAL:Subject to all federal, state and local laws/regulations. Neither Peaceful Valley Montessori Academy, Sponsor, nor their affiliates will have any liability whatsoever for any injuries, losses nor damages of any kind caused by any prize or resulting from acceptance, possession, use and/or misuse of any prize or participation in these promotions. Acceptance of a prize shall be construed as and signify the winner’s agreement and consent that Peaceful Valley Montessori Academy or Sponsor may use the winner’s name, voice, likeness and/or prize information, without limitation, for promotional purposes without further consideration, review, approval or payment, where allowed by law. By participating in this promotion, entrants agree to be bound by the Official Rules and the decisions of the Peaceful Valley Montessori Academy and Sponsor, which are final and binding in all respects. Peaceful Valley Montessori Academy and Sponsor are not responsible for any typographical nor other error in the printing of the offer or in administration of the promotion. Prize will only be awarded and/or delivered to addresses within USA. All federal, state and/or local taxes, fees, and surcharges are the sole responsibility of the prize winner. Failure to comply with the Official Rules will result in forfeiture of the prize. INTERNET: Neither Peaceful Valley Montessori Academy nor Sponsor is responsible for electronic transmission errors resulting in omission, interruption, deletion, defect, delay in operations nor transmission or alterations of entry materials, nor for technical, network, telephone equipment, electronic, computer, hardware or software malfunctions nor limitations of any kind, nor inaccurate transmissions of or failure to receive entry information by Peaceful Valley Montessori Academy or Sponsor on account of technical problems or traffic congestion on the Internet or at any website or any combination thereof. If for any reason the promotions are not capable of running as planned, Peaceful Valley Montessori Academy or Sponsor reserves the right in its sole discretion, to cancel, terminate, modify or suspend the sweepstake and select the winners by random drawing from among all eligible entries received from all methods combined up to the point of the action taken by the Peaceful Valley Montessori Academy or Sponsor. Sponsor’s database clock will be the official time keeper for this Sweepstakes. SPONSOR / PRIZE FULFILLMENT: Peaceful Valley Montessori Academy is the host of the sweepstake and is in no way to be considered the Sponsor, unless the sweepstake specifically discloses that Peaceful Valley Montessori Academy is the Sponsor. The Sponsor is deemed to be the party providing the product for the sweepstake. The sponsor is responsible for prize fulfillment within 90 days of the winner providing requested mailing information. Peaceful Valley Montessori Academy is held harmless for failure on the part of Sponsor to fulfill prizes to said winners. In the event the prize has not been received by the winner within 120 days, the winner is to email Peaceful Valley Montessori Academy for follow-up (admin@peacefulvalleymontessori.org). Peaceful Valley Montessori Academy will put forth reasonable attempts in order to contact the sponsor for details regarding prize fulfillment. Should more than 180 days have lapsed before the winner contacts Peaceful Valley Montessori Academy about not receiving a prize, Peaceful Valley Montessori Academy will not follow up with the Sponsor and is not liable. The winner forgoes any prizes after 180 days without follow up. LIMITATION OF LIABILITY:Sponsor is not responsible for any incorrect or inaccurate information, whether caused by website users or by any of the equipment or programming associated with or utilized in the Sweepstakes or by any technical or human error, which can occur in the processing of submissions in the Sweepstakes. Sponsor assumes no responsibility for any misdirected or lost mail, or any error, omission, interruption, deletion, defect, delay of operation or transmission, communications line failure, theft or destruction or unauthorized access to, or alteration of, Entries. Sponsor is not responsible for any problems nor technical malfunction of any telephone network or lines, computer online systems, servers nor providers, computer equipment, software, failure of email nor players on account of technical problems or traffic congestion on the Internet or at any website or combination thereof, including injury or damage to entrant’s or any other person’s computer related to or resulting from participating downloading materials in the Sweepstakes. If, for any reason, the Sweepstakes is not capable of running as planned, including infection by computer virus bugs, tampering, unauthorized intervention, fraud, technical failures, or any other causes beyond the control of Sponsor which corrupt or affect the administration, security, fairness, integrity or proper conduct of the Sweepstakes, then Sponsor reserves the right in its sole discretion to cancel, terminate, modify or suspend the Sweepstakes. In such event, Sponsor may, in its sole discretion, perform the random drawing from among all eligible Entries received prior to or after such cancellation, suspension, or modification. In the event of a dispute concerning who registered online to participate in the Sweepstakes, the registration will be declared to have been made by the authorized account holder who is defined as the natural person who is assigned to an email address by an internet provider, online service provider, or other organization (e.g., business, education institution, etc.) that is responsible for assigning email addresses for the domain associated with the submitted email address. A potential winner may be requested to provide Sponsor with proof that the potential winner is the authorized account holder of the email address. If a dispute cannot be resolved to Sponsor’s satisfaction, the entry will be deemed ineligible. DISCLOSURE: Peaceful Valley Montessori Academy may or may not have received the same prize and/or compensation in order to facilitate a review for sweepstake purposes. The comments made within the post are in no way reviewed, edited or influenced by any parties, including the Sponsor. All opinions are 100% that of Peaceful Valley Montessori Academy. Except where prohibited, each entrant agrees that: (1) any and all disputes, claims and causes of action arising out of or connected with Sponsor’s Online Sweepstakes or any prize awarded shall be resolved individually, without resort to any form of class action, and exclusively by state or federal courts situated in Minneapolis, MN (2) any and all claims, judgments and awards shall be limited to actual out-of-pocket costs incurred, and in no event attorneys’ fees; and (3) no punitive, incidental, special, consequential or other damages, including without limitation lost profits may be awarded (collectively, “Special Damages”), and (4) entrant hereby waives all rights to claim Special Damages and all rights to have such damages multiplied or increased. Minnesota law, without reference to Minnesota’s choice of law rules, governs the Online Sweepstakes and all aspects related thereto. Facebook Disclaimer:Entrants should understand that they are providing their information to the Sponsor and not to Facebook. This promotion is in no way sponsored, endorsed or administered by, or associated with Facebook.